Georginio Wijnaldum is eagerly anticipating the ‘big fight’ that awaits Liverpool at Goodison Park on Sunday. The Reds cross Stanley Park this weekend for the 233rd instalment of the Merseyside derby, and they do so on the back of an impressive 5-0 victory over Watford that maintained their one-point lead at the top of the Premier League. This season’s reverse game against Everton was settled in the most dramatic of circumstances, with Divock Origi bundling home a 96th-minute winner at the Kop end. That, plus the fact Wijnaldum and his teammates are pushing to win the title, is sure to add an extra layer of intensity to a highly-charged atmosphere at Goodison. The Dutchman, though, wants Liverpool to use the noise to their advantage. “Yeah, but we want to defeat them badly too so it works two ways. 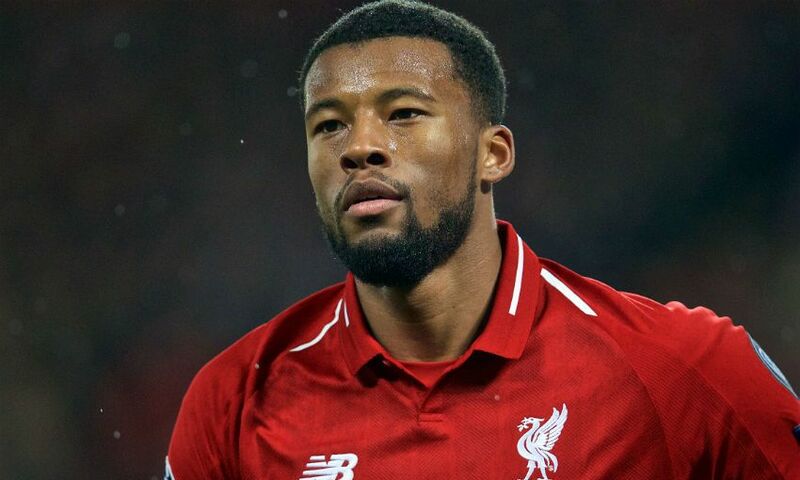 I expect it’s going to be a big fight,” Wijnaldum said, when the Blues’ level of motivation for the game was put to him. “It will be a totally different atmosphere to a normal game, but we go there to play football and to hopefully enjoy it. “You use it to spur you on. It’s great to win there. My first year here we won there. Then last year we had two draws in the league against Everton, and we beat them in the cup. Wijnaldum was speaking in the aftermath of Liverpool’s emphatic defeat of Watford - a result brought about by their relentless attacking intent after back-to-back goalless stalemates versus Bayern Munich and Manchester United, he feels. “We started quite aggressively, tried to attack and get a lot of bodies in the box,” the midfielder explained. “We tried to counter-press when we lost the ball and then play football. In the end, the result is five goals. It was a good evening. “I always have that feeling that it will click, but in some games it clicks better than others. Against Watford, it clicked well, Sunday not so well. “I think the reaction was only because of the season United have had. If you collect a point away from home at United then normally it’s a good result. “But the situation they have had, the way the game went, everybody already thought that Liverpool had to win, especially with the substitutions in the first half. “Everybody said as if it was an easy game and Liverpool should win, but it doesn’t work like that. We started well there but didn’t finish the game good.